In this Episode I discuss FOMO. FEAR OF MISSING OUT. We’ve all been there before right? Here I share some of my experiences of missing out and a few tips and tricks I do to stay positive and get myself back into the mindset I need to be in so that I can turn my fear and sometimes sadness back into positive and fearless! I’m a woman on a mission! An organized and productive one at that! To find any of the apps I discussed in this podcast you may visit the App Store on kellyanngorman.com. 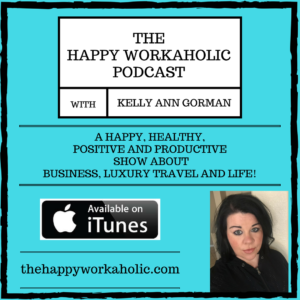 To sign up for my VIP Newsletter at kellyanngorman.com and follow me on Instagram @kkinvegas, Facebook @kellyanngormanceo and Twitter @kellyanngorman under #thehappyworkaholic.